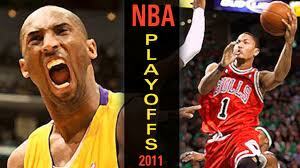 My journey to living a cable free life hit a major snag - - NBA Playoffs!! My husband is a sport's freak and every game has turned into a "must watch" event. An even bigger problem is that there seems to be a game on every night of the week which is making the task of sharing a TV quite taxing. A few nights ago I "banished" him to watch a game on our "no longer connected to a digital cable box" TV. Watching TV that lacked HD was like stepping into a time machine... a really bad time machine back to the 90s lol.. and he would NOT stop complaining. I seriously thought we were going to have to go out and grab another digital receiver, even it it lacked a DVR, just so he would stop running his mouth lol... but we had a talk about how we were both going to need to make sacrifices - - I gave up a bunch of reality shows that are not must-watch for me, and he's learning that every single game isn't life or death (though Bulls games are not up for discussion). Like I previously shared, we got rid of one of our DVR boxes and managed to cut our cable/internet service by $68, so whenever I find myself getting frustrated that I'm watching yet another layup or free throw I try to remind myself that we have an extra $ each month that we didn't have before. It helps... kinda lol. I know that life without cable is possible, and I'm really pleased with the amount of shows available online and via Netflix, but seriously - - I'm a TV person!! Even if I'm watching CNN or HGTV (because I watch more than reality shows) having a TV is a must for me. For those that gave up cable or cut back on their selection of channels, how long did it take you? I'm definitely going to need baby steps.